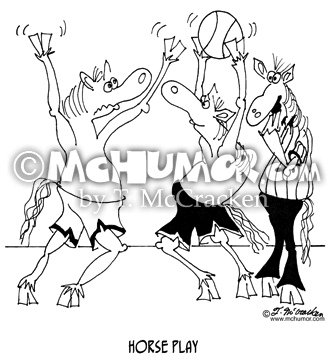 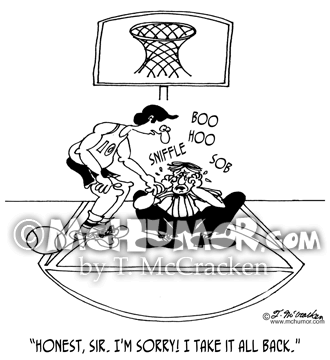 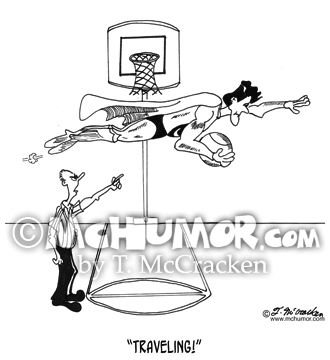 Basketball Cartoon 5445: A basketball player saying to a crying referee, "Honest, sir. 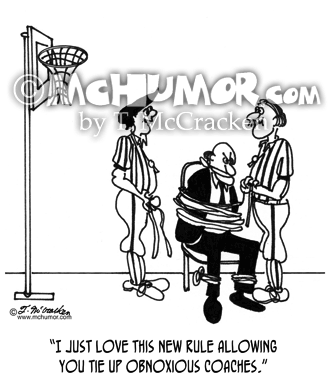 I'm sorry! 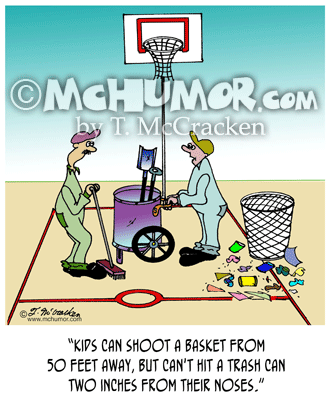 I take it all back." 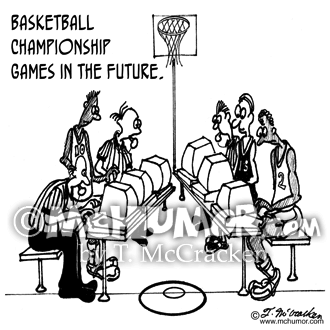 Basketball Cartoon 6699: A basketball referee on the phone when a gazillion balls thrown through his window. 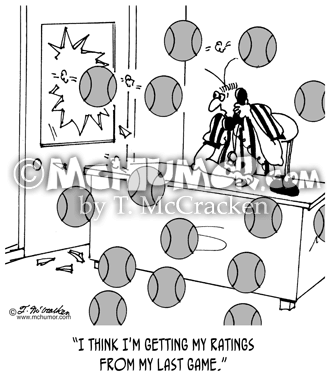 He says, "I think I'm getting my ratings from my last game." 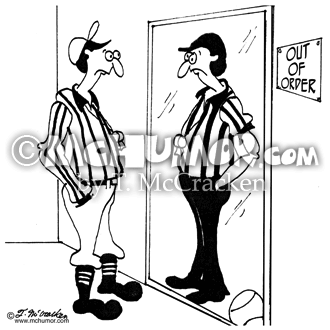 Referee Cartoon 8399: When a football referee looks into a mirror with an "Out of Order" sign he’s reflected back looking like a basketball referee. 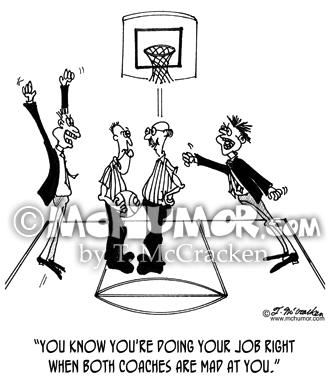 Referee Cartoon 4689: As two men yell at him a basketball referee says, "You know you're doing your job right when both coaches are mad at you." 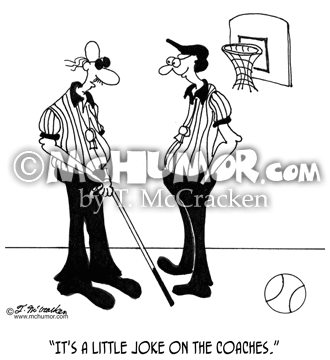 Referee Cartoon 6671: A basketball referee wearing dark glasses and using a white cane says to another, "It's a little joke on the coaches."